As I'm writing this, Michigan along with various other states is under the grasp of a polar vortex. It is currently -6' F (the wind chill drops that to -29' F). I was keen on getting the driver who was dropping off my next test vehicle into the Silverado quickly so he could warm up. That vehicle is the 2019 Buick Regal GS. As much I would have loved to get my hands on the new TourX, I have a bit more experience with the GS. In 2015, I spent a week in the previous Regal GS and came away quite impressed. The turbo-four, all-wheel drive system, and suspension made for a surprisingly taut sedan. This new one (introduced in 2017) gave me a bit of pause as it would swap the four-cylinder for the 3.6L NA V6. This engine has not been a favorite of mine as you have really to bury your foot to get the most of it. In the case of my tester, it happens to be brand spanking new with less than 400 miles on the odometer. Base is $39,070 and with a few options comes to $43,115. My first impressions? I tend not to be a fan of red on vehicles, but the Regal GS pulls it off. The wide, long fastback shape wears this color quite well. Also, the wheels on this are quite sharp. The seats are quite snug for me, mostly due to wide shoulders. There appears to be some adjustable bolstering and I'll see that helps. WHY IS THERE NO OFF BUTTON FOR THE STOP-START SYSTEM BUICK?! Though the current weather kind of acts like an off switch. The AWD system is biased towards the front as some experimentation in a snowy parking lot. I'm able to get the back step out provided I get a bit of throttle. I'll have some more updates and a small gallery in the next few days. If you have questions, be sure to drop them below and I'll do my best to answer them. Also, I will have a final update on the Silverado sometime tomorrow. William, Entry / Exit, looks like a really racked windshield. Would you say taller than the national 5'8" tall average could smack their head getting into and out of the car? Is there anything at all compelling about it to warrant its high asking price in relation to other choices? Can the GS mode send more torque to the rear? I thought that was a feature of that particular AWD system. Take a drive in one and U will see. Its essentially a Buick S4, but better looking and waaaaaaaaaaaaay more reliable. The S4 is certainly faster (0-60 4.4 sec vs 5.6) because of all that torque, but this car handles as well if not better imo. Damn GM for its simpleton reliance on the 3.6L for every fukking thing. Seriously.. as good as the 3.6L is as a goto engine.. it should not be in anything that is billed as a performance or luxury vehicle when they have better alternatives that would blow the competition away. This is a another prime place where the now defunct XTS VSport's TT 3.6L LF3 would shine. XTS V-Sport is not defunct. Still there as the Platinum option. Well I happen to 5'8" and can say I can get out of the front with no issue. Can't say about the back yet. That will likely be answered in my full review. It can, but you need to still give a fair amount of throttle to get the power sent. Do you think you might consider this an Audi "lite"? Right.. but my biggest concern is WTF they are not using that SWEET engine in anything else.. including the 3.0LTT. I love GM.. I just don't get GM sometimes. I feel you man. I remember telling someone once that if I was to write a book on all of the boneheaded decisions made by GM, it would turn into a 26 encyclopedia set. In terms of design, yes. Material quality? Not really as there some place where it is noticeable that GM has employed some cost-cutting measures. Yup! I never thought of that. Awesome observation! And then Acura took over in that spot in the 1990s, taking market share away from Pontiac AND Oldsmobile. Instead of thinking this Regal GS is like an Audi lite, Im thinking this is a better successor and much better looking 2009-2014 Acura TL. The Audi is much better looking IMHO....and I am not just saying that to be difficult. Between this and an A4....the Buick would not have much to offer IMHO. 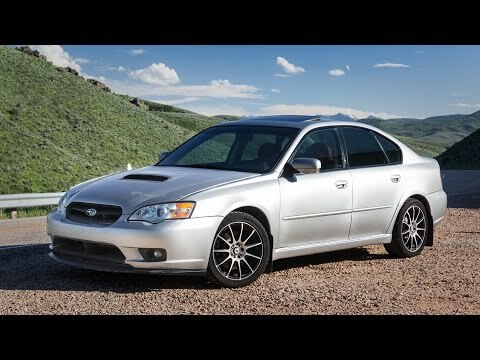 Subaru had a V6 Legacy GT around 2005.. I think BV had one for a while. I'm looking forward to reading how the Buick compares to the Stinger GT. ...and this is the kind of response I am really looking for. I will probably never autocross again, but want a sporty comfy car for long freeway trips that also will handle well on two lane back roads. I have to say it is very subjective as I think both cars are very nice looking, but I like the lower portion of the doors on the GS over the A4. 2019 GS versus A4 interior is a bit different. It is a shame that Buick cannot offer anything else but just black. Two Tone is very much needed on cars today to give a nicer more inviting interior to enjoy. I will say I HATE that LCD screen sticking up, to me this is an Afterthought on the A4, cheap bean counting last minute consideration. Kinda like the cheap approach Lincoln Aviator gives me. By now these things should be properly integrated into the Dash. Will read both reviews but as is....would not even darken the door of my local Buick dealer for a test drive with the Stinger on the market. 2019 GS versus A4 interior is a bit different. It is a shame that Buick cannot offer anything else but just black. Two Tone is very much needed on cars today to give a nicer more inviting interior to enjoy. I got nothing unless you have a preference for for Buick badged Opel "FWD based transverse engine lease appliances" to borrow from Robert. heh-heh..I guess I've run that one into the ground, haven't I? @dfelt rly? Lincoln Aviator being cheeep? the stinger GT mops the floor with the GS because RWD. In no way is this Buick compelling unless you get a TourX. At that point it does not compete with a Stinger. Lincoln Aviator, Nice Old Retro CUV. I like XT6 better. My visual choice. Have to drive both to compare for physical preference, but the inside dash is retro to me. The proper RWD/AWD platform and drivetrain alone make the Aviator more appealing to me than the XT6, and the styling. Nothing retro about it that I can see. Drew Dowdell commented on Ford Invests $500M in Rivian to Gain Platform Access. Drew Dowdell submitted Ford Invests $500M in Rivian to Gain Platform Access to Automotive News.